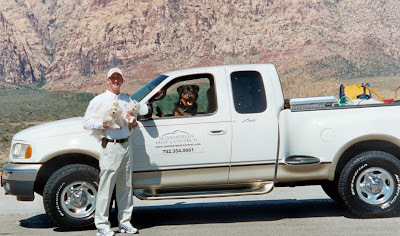 Las Vegas pest control- Welcome to our site serving the entire Las Vegas valley....Henderson, Aliante, North Las Vegas,and Blue Diamond/Southern Highlands. Summerlin Pest Control, is your answer to Las Vegas pest control problems...the insects (ants,roaches,earwigs,spiders,scorpions) bees,wasps,mice,roof rats and Humane Pigeon Control (What is this? Learn more about it below). We use a variety of methods, including the power spray,IPM method and in-wall treatments. We offer quality, friendly, full-service treatments, Commercial and Residential Termite Inspections and Natural/Organic, Eco-safe products. We plan to use this site to help you, the customer, understand the particular pest issues that are common to Summerlin and Las Vegas valley residents, their warning signs and effect on your home. Feel free check out our customer ratings and current deals on Kudzu.com. The Go to GREEN company! We are constantly striving to improve our service by using the latest technology available. We proudly use products from EcoSMART technologies which contain a patented blend of botanic oils that effectively targets a broad spectrum of pest... NOT people or pets. And remember... There are many company's today that promote Pet,child,eco friendly services,but there is a difference! Please feel free to ask questions about the treatments! Summerlin Pest Control uses alternative pest management methods that limit the use of toxic substances. 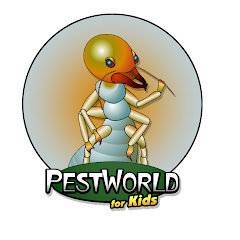 We incorporate Integrated Pest Management (IPM) as a way to remove such pest as ants,scorpions,spiders,earwigs,mice,rats,and roaches from your home. Working with our customers, our IPM professionals will identify, monitor, and solve the pest problems. Being informed is a great way to protect your family. Check out the latest article at the bottom of this page! "Pest Control...How it leads to better health"
Environmentally conscious yet safe for your pets and children. Learn more about what insects are in our valley! What is humane pigeon control? Birds settle in areas that suit their needs. Therefore, an effective program of bird control consists of making the designated area as uninviting as possible through CONDITIONING and EXCLUSION. Building codes should be modified if needed to include provisions for bird proofing.Conditioning birds to avoid an area through the use of noises, mirrors, etc., should be done as early as possible to effectively discourage them from settling in. It is important to vary the deterrents so the birds do not get accustomed to them. Don’t feed the birds, and eliminate food and litter from the area. Open areas, such as vents, lofts or eaves, can be sealed to prevent birds from nesting in the holes. Openings in lofts, church steeples and other enclosed spaces can be screened with one-half inch mesh hardware cloth. Any such exclusion must be done when the birds are not inside.Very simple modifications in a building’s structure can discourage birds from landing or nesting on the building. Steel, wood or stone angles on building ledges and light fixtures prevent pigeons from nesting. Birds can be discouraged from roosting on such flat surfaces by using boards or sheet metal to create a 45° or greater slope. Bird barriers, such as a thin metal coil resembling a “slinky” toy, can be fastened to a building ledge to discourage birds from landing. Birds can be deterred from roosting on railings and pipes by installing Mylar™ tape streamers or a single strand wire barrier two inches above the center of the surface. Netting can be used to exclude birds from virtually any type of structure, from a house to an office building. To keep birds off window ledges, the netting is anchored to the roof, draped across the front of the structure and then tightly secured to the base and sides of the building. Other deterrents includesoft plastic spikes, flood lamps and special electronic sounds. Poisoning wildlife is cruel. Avitrol, a commonly used bird poison, causes suffering for up to 15 hours before death. (3) What’s more, humans and other nontarget species can die or become ill from accidental ingestion of or skin exposure to small amounts of bird poison.In 2002, a little boy in Las Vegas brought home a pigeon he’d found who was dying of Avitrol poisoning. Shortly afterward, the family began to show poisoning symptoms, and the boy became very ill. In January 2003, a dog was reported poisoned in Aurora, Colo., after eating one kernel of Avitrol-laced corn. According to New York City’s Avitrol ban, “Avitrol is too deadly and too blunt an instrument to be used in an urban setting.”Poisoning is unlikely to have any lasting effect on the number of pigeons in a given area. Population densities depend on the availability of FOOD, SPACE, and SHELTER. If some pigeons are killed, more will take their place, bringing the flock back to its original size. According to the U.S. Fish & Wildlife Service, killing birds can actually create favorable grounds for breeding and can result in an increase in bird populations. Those who have traditionally hired exterminators to poison birds actually save money and frustration by switching to nonlethal methods. **SUMMERLIN PEST CONTROL(Las Vegas pest control) services homes and businesses throughout LAS VEGAS,SUMMERLIN,BOULDER CITY,HENDERSON AND MORE. 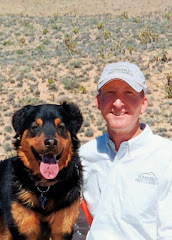 ** "After having worked several years in this field; my top priority and reason for creating this company, is to ensure the utilization of treatments that are safe around your pets and your children...While effectively eliminating all my customers pest concerns!" We believe in hitting problem areas hard and providing customized plans that are as attractive as our service. Worst pest in the Las Vegas valley? Help support Nevada's SPCA! Donate! Adopt a pet! The fact remains – pests and rodents, can have harmful effects upon your health and your family’s health. It is important to fully understand the dangers stemming from these types of infestations. Did you know that some of the most common pests in homes are cockroaches, rodents and ants? It is unsettling to think of us sharing our homes with these pests because of the serious threats they pose. Below is a more detailed overview of the health risks associated with particular pests. CockroachesThe National Institute of Environmental Health Sciences (NIEHS) reports that one-in-five children in the United States have severe sensitivities to cockroach allergens, which increase the severity of asthma symptoms. These allergens are most commonly introduced in homes through cockroach saliva, droppings and the decomposing bodies of these pests. Cockroaches can also carry bacteria such as E coli and salmonella on their bodies, which can contaminate food, cooking equipment and food surfaces. RodentsRodents can enter a building through almost any opening or crack. It is important to inspect for rodent droppings, especially in undisturbed areas such as pantries, under baseboards and along walls. Rodent droppings most often cause allergic reactions in human beings but can also cause disease, including the potentially deadly Hantavirus. More frequently, though, rodents serve as vectors, carrying bacteria, such as salmonella, on their bodies and contaminating food sources, kitchen surfaces and equipment. A pest control professional can offer the expertise and knowledge of rodent biology to best protect your health and rid your home of a rodent infestation. MosquitoesWith the increased prevalence of West Nile Virus in the summer months, mosquitoes continue to be, not only a summer nuisance pest but also, a major health threat. According to the Centers for Disease Control (CDC), West Nile Virus infections have appeared across the United States in recent years, which makes avoiding mosquito nesting/breeding sites and eliminating standing water in or around the home even more important to the protection of public health. In addition, to the potential for West Nile Virus, mosquitoes can also cause itchy, unsightly marks as well as severe allergic reactions in human beings. TicksLyme disease has emerged, in recent years, as a major health risk to human beings. Transmitted by ticks, typically between May and October, lyme disease is largely found in the Northeastern, upper mid-western Western states of the U.S. However, there has been an increase in the diagnosed cases of lyme disease in the South. It is critical to be vigilant of ticks, especially if you are in wooded areas. Symptoms of Lyme disease include a "bull's eye" rash around the bite, flu-like symptoms and extreme fatigue. Summer Stingers (Bees, Yellow Jackets, Hornets, etc)Stinging pests send more than 500,000 people to the emergency room each year. These pests are aggressive in nature and often sting as a way to protect their colonies or larvae from human beings who attempt to remedy an infestation on their own. This aggressiveness, combined with being disturbed, often means that these pests tend to sting repeatedly, which adds to the potential for greater skin irritation or a serious allergic reaction. A pest control professional can provide a level of expertise and knowledge of technology that can best rid these stinging insects and prevents future infestations. FleasFleas aren’t just a problem for man’s best friend. These pests, which commonly appear in warmer months, feed on the blood of any warm-blooded body. Typically biting human beings, fleas can cause itchy, unsightly marks as well as severe allergic reactions. Fleas tend to travel with mammals on the move, which can include not only you and your pet but also rodents. If you have a rodent problem in your home, fleas may be soon to follow. If you suspect a flea infestation, be proactive in treating the problem and contact a licensed pest control professional to rid your home of fleas and to prevent future infestations. "An evolution of the Beat....!"